What is it about Hawaii and pineapples? Who knows but, oh boy, they go perfectly with prawns, err….shrimp. I wanted to make a kind of cocktail sauce and used KNORR Pronto Napoli instead of ketchup. To tell you the truth, I'm not using ketchup ever again! Quickly barbecue the prawns and pineapple wedges with a little oil. Combine the salsa ingredients together and set aside. 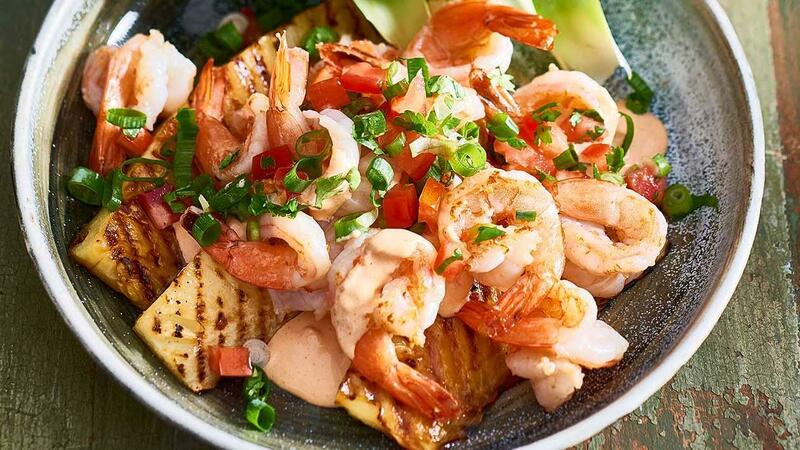 Place the pineapple and prawns in a bowl and top with the salsa and sauce.